HOW DO YOU CUT THROUGH A NEWS-DOMINATED SOCIAL ENVIRONMENT? 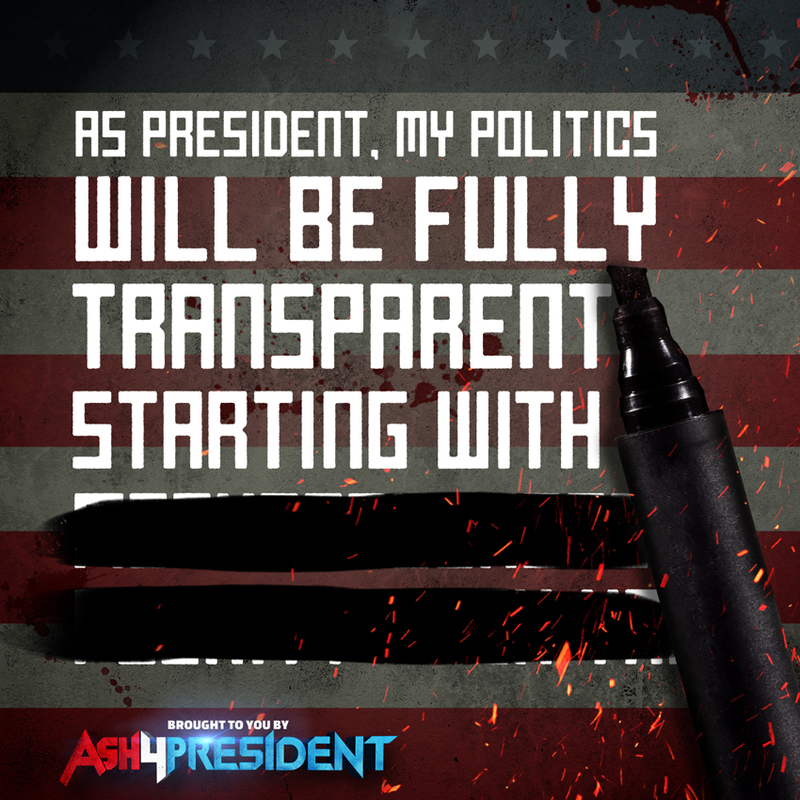 To support season 2 of Ash Vs Evil Dead we launched the Ash4President campaign in 2016, because frankly EVERYONE was running for President. 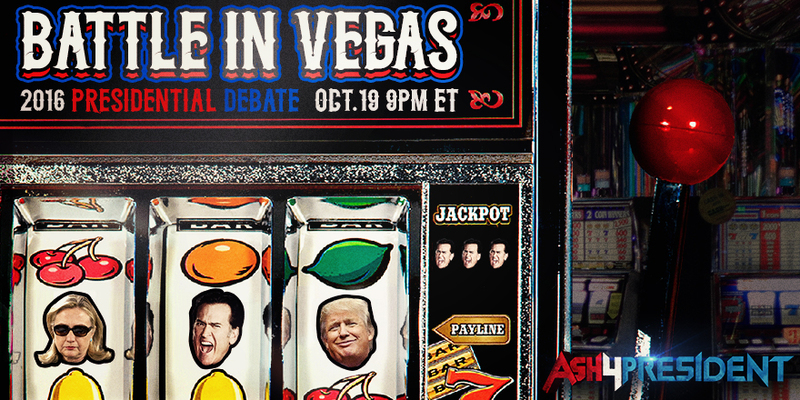 The election provided ample opportunity to insert ourselves into the public conversation in the most ridiculous way. 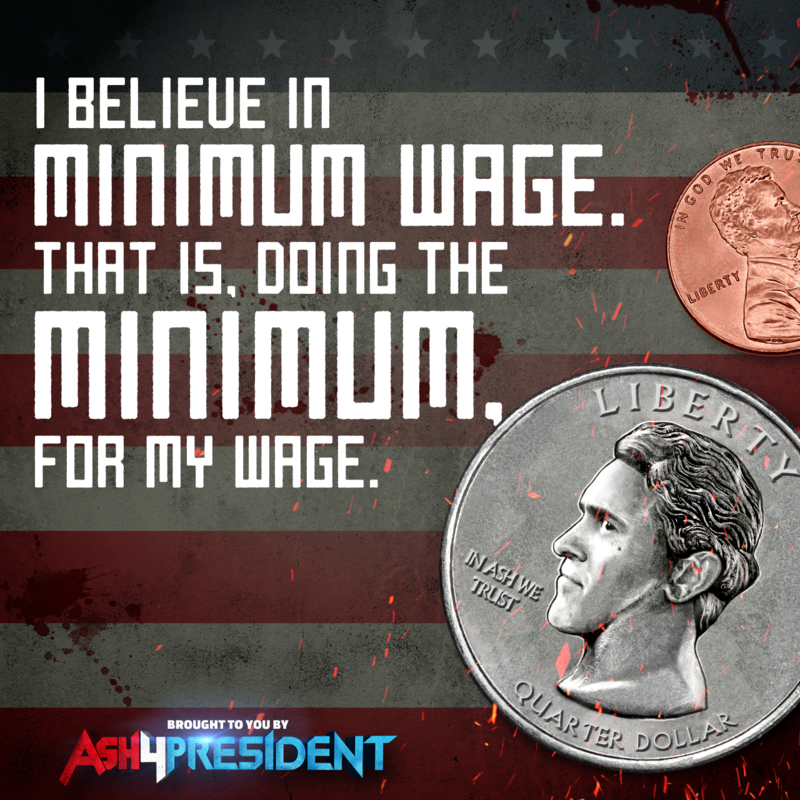 We leveraged the show’s biggest asset, Bruce Campbell, to make this a success. 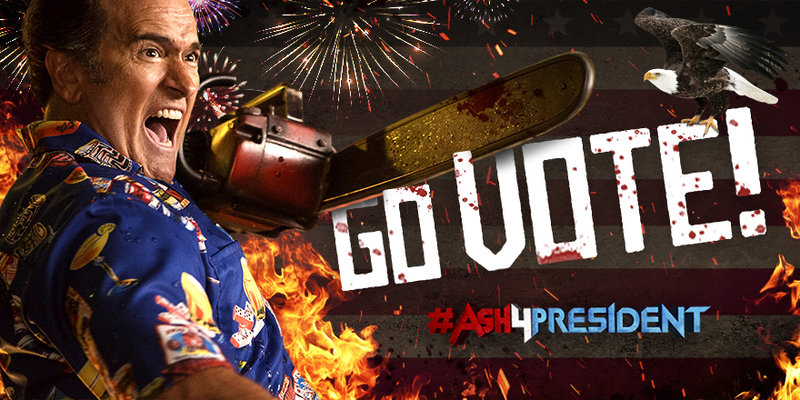 To amplify the #Ash4President website we created super sharable campaign materials for Twitter. We took advantage of candidate statements and trending hashtags, creating content and, writing copy fast enough to seize the moment. We upped the ante by live tweeting with real-time responses to all three Presidential debates between Trump and Clinton. Our Twitter account gained 53.2% more followers in Debate 1 alone. In addition to growing the Twitter account, we had over 35M potential impressions, ensuring people were talking about Ash Williams as a legitimate write-in candidate for the 2016 election.